Some of my hubby's family live in Farmington, New Mexico; we have found three different routes to get there. The first is down Route 491 towards Shiprock and then hook a left to Farmington. The second is Route 550 from Durango to Route 516 in New Mexico; the third though is the one I'm going to write about today. The La Plata Highway which begins as Route 140 in Colorado, but changes its number to 170 when you cross the border into New Mexico. Now that is one thing I will never truly understand about smaller roadway numbering, why they need to change once you enter a new state. Look at major roadways like Interstate 95 which goes from Maine to Florida; same name all the way from tip to tip. Is it a territorial thing; a possessive issue? No wonder people can easily get lost without a detailed map; you believe you've somehow gotten on the wrong road, when all along you're exactly where you need to be. Anyway, living in Monticello, Utah, we usually drive down Route 491 to Cortez, Colorado; turn onto Route 160 East and follow that past Mancos and begin the trek up towards the Rocky Mountain region. This route will also take you to Durango which I've written about a little, but there will be so much more to come on that subject. As you start the climb upwards, one of the turns will give you a view of the beautiful La Plata County valley; lushly green, surrounded by mountains of grey stone and forest. Here's the tease, you'll also be passing by a pull-in area for Escalante Wayside; also the roads to and through Echo Basin and La Plata Canyon. You know I'll be writing about those in later posts, and oh, do I have photos! You know you're coming close to the turn for Route 140 when you see the ski lift; only open in the winter time of course, and fun watching the skiers come down the slopes. 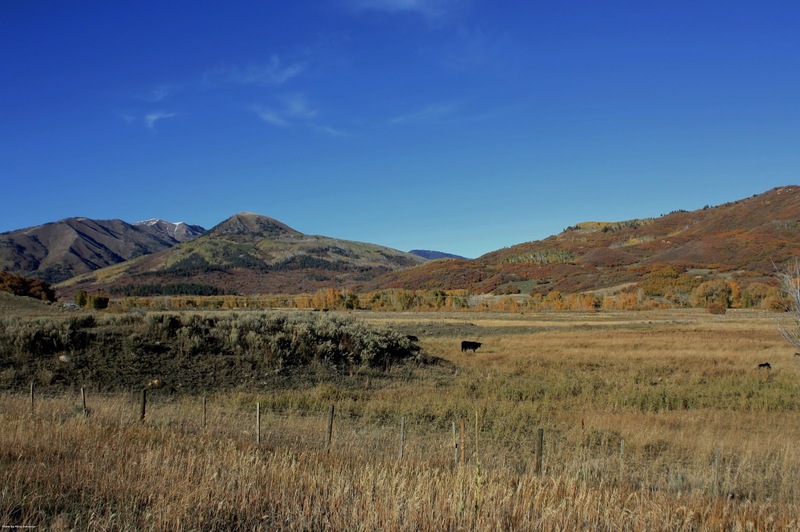 Make the right turn onto Route 140 and say hello to the little town of Hesperus; completely charming little place of lovely homes and a quaint old church. My big thrill though is as you're leaving town you come upon a swamp like area with a beaver's dam, croaking frogs, downed logs; not something you would expect to see in the forest filled, mountainous area. As you travel along, there will be a sign for "Hay Gulch", a mostly graded road (flattened gravel and dirt) which winds around through the back of "Fort Lewis" and back to Route 140; basically ranches along the way. If you want to get a tiny taste of history though, stay on the main road and make a stop at Fort Lewis. This fort was used more for keeping an eye on the Ute and Navajo tribes, and the miners coming in to find silver, before it was converted to a school. Not many of the original buildings stand any longer, but now you can see where Fort Lewis College basically had its beginnings. As you get closer to the "Welcome to New Mexico" sign, and the border between New Mexico and Colorado; you'll begin to see a change in the landscaping. Less ranches and greenery, more grey stone hills and formations begin to appear. The La Plata Highway (Route 170) is pretty much in the same location as it was back in the 1800s; beginning in Southern Ute Reservation and terminating in Farmington, New Mexico. However, the highway passes through a large number of prehistoric pueblo settlements ranging in age from the AD 500s to the 1300s. Driving through the town of La Plata and into Farmington, the Adobe hills become more and more prominent, with an oil pump jack dotting the landscape here and there. Farmington is basically a small version of a city without the high rise buildings. Malls, chain stores and restaurants intertwined with ancient history and geology. The Bisti Badlands, Anasazi Arch, Angel Peak, Aztec ruins, Shiprock and Chaco Canyon to name just a few. The drive from start to end of the La Plata Highway is about one hour; scenic and calming, I would have to say that this is my personal favorite way to get to Farmington, New Mexico.